If you have not yet tried Beef Tenderloin, you are missing one of the most delicious meals on earth. Try this fascinating dish just once and it will surely become your favourite. People these days don’t usually prepare it regularly due to the high cost. So, those who don’t know how to cook it perfectly must not give it a try, because a lot of money will go to waste. Go for this tasty dish only if you know the faultless way of making it. Making a perfect Beef Tenderloin is not a tough thing to do. Infact, everyone who has a good taste must prepare this great recipe at least once. 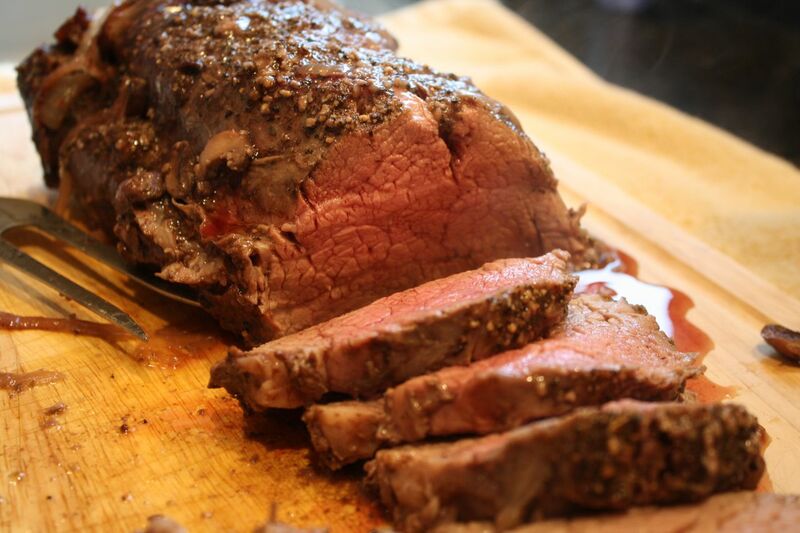 The key to making a perfect Beef Tenderloin is to keep the recipe as simple as possible. If you are preparing meal for any special occasion, this is probably the best dish to serve. It becomes even more special on dinners during holidays. This beef dish is just like other meat recipes and does not put any extra burden on the stomach. Even without sauce, it tastes delicious. On the other hand, leftovers are good for things like lunchtime sandwiches or a beef Caesar salad. Utensils: Kitchen papers, burner, saucepan, oven, thermometer, dishes, refrigerator and spoons. You need to start well before the time of serving, preferably 24 hours. Closely examine your tenderloin and clean any excess fat or tendons. With the help of a mortar and pestle, grind together the garlic, salt, pepper, rosemary and thyme. You can always use a little olive oil to make a thick paste. Now rub the whole material all over the tenderloin and refrigerate it for at least 24 hours. Don’t forget to cover before putting it in the refrigerator. Remove the tenderloin from the refrigerator at least an hour before serving. You have waited a lot, so there is no need to be hurry now. Let the tenderloin come to room temperature. Preheat oven to 400 degrees. Tie it up and insert thermometer to the thickest part of the piece and roast it for 30-35 minutes. Don’t let it burn though. Once the inside temperature goes to 120 degrees, the tenderloin is cooked. Cover with foil and allow to rest for 10-15 minutes ahead of carving. Your delicious meal is ready. Now slice and serve.